Jorge Saenz rejected Janaury transfer window offers from a host of clubs and made light of the attention, showing magnificent form in a battling 0-0 draw at high flying Deportivo. 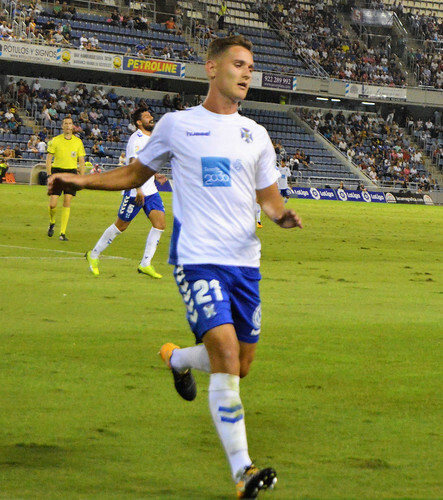 It was a third straight shut out as CD Tenerife dominated for much of the game but once again the lack of fire power frustrated their aim to break their away drought. Storm Helena diverted the clubs flight and it looked like coach Oltra had used the extra time to drum a new style into his back four. Deportivo were left chasing shadows in the first half hour as Tenerife stroked the ball around in defence with a confidence bordering on arrogance. When the chance came to break forward the confidence didn´t stretch that far, Malbasic ploughed a lone furrow for much of the game. Borja Lasso couldn´t make the most of his teams first chance but Tenerife were unlucky with a well worked free kick after 8 minutes. Suso played the ball to Luis Milla who fired a powerful drive high into the box, Jorge got a head to help it onto the target, and only a smart save from the home goalie saved his team. Deportivo stirred and Caballo tried his luck with a shot that went well over the bar. Malbasic got in behind the home defence but his poor control produced a weak shot. 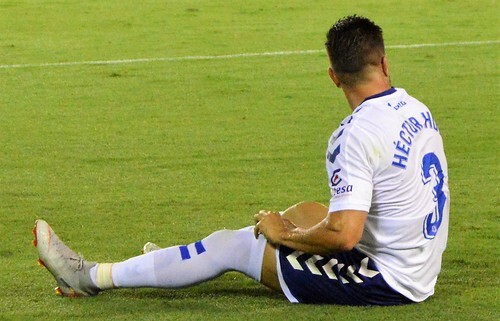 Dani Hernandez was wide awake to thwart Dique, and a late firs t half Deportivo chance went the way of so many of their efforts, high and wide. Dique was severely restricted in the game by another excellent display at left back by Hector Hernandez. The defender was told he should look outside Tenerife in the January transfer window but he opted to stay and fight for his shirt. 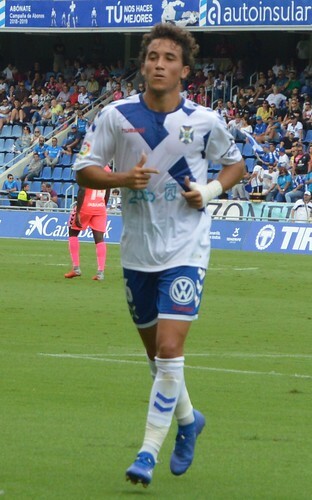 Midfielder Montañes has been cursed with injuries in his two seasons with Tenerife, he had to be replaced at half time by Jose Naranjo, and may face another few weeks on the treatment table. Racic got into a strong second half position before firing at the home keeper, and Malbasic hustled between a clutch of three defenders before losing the ball. A booking for Milla after 56 minutes pushed him over the line for a suspension at home to Cordoba, the influential player will be a big miss. Deportivo were finding the Tenerife defence a hard nut to crack, Jorge rejected bids from Valencia, and Fulham, both were willing to meet the Spain under 21 players 3 million valuation but he decided to stay with his home town club. 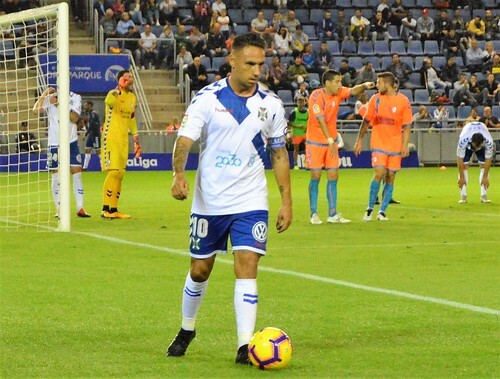 Winning the CD Tenerife player of the month award the last three times has been a rich reward as he has turned early promise into mature, disciplined performances. Naranjo has been one of the big let downs of the season, he is the teams top scorer, but with just four goals, he spurned another chance as the game went into the final phase. Coniglio replaced Suso for the last 13 minutes, the Argentinian forward is still settling in after being lured over in the window, and added little threat. Underbarrena came on for Borja with two minutes left and his foul gave a free kick to Deportivo. It was heading for the goal until Dani made a double save to parry and then secure the ball and the away point.